Melting Chocolate in the Microwave in Less Than a Minute. One of my favourite holiday recipes requires a large quantity of melted chocolate. Something I would NOT attempt in a microwave. 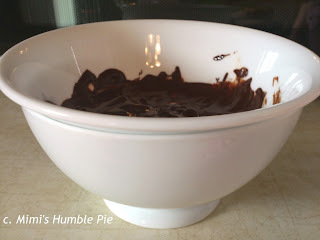 Recently I needed 1/4 cup of melted chocolate for a new recipe and could not locate my stove top double boiler. Instead I placed the chips in a small bowl, found a medium sized bowl that would nestle nicely and made a microwave double boiler. Microwave your chocolate on "reheat" or "medium heat" settings. Stop the microwave and stir the chocolate every 10-15 seconds. Melt small batches at a time and don't over heat. Give the hot water a chance to do the work for you. Chocolate scorches easily and boy does it stink. Don't get water in your chocolate it will stiffen up with no way to revive it. Find glass bowls that nestle nicely. Place chocolate chips in the top (smaller) bowl. 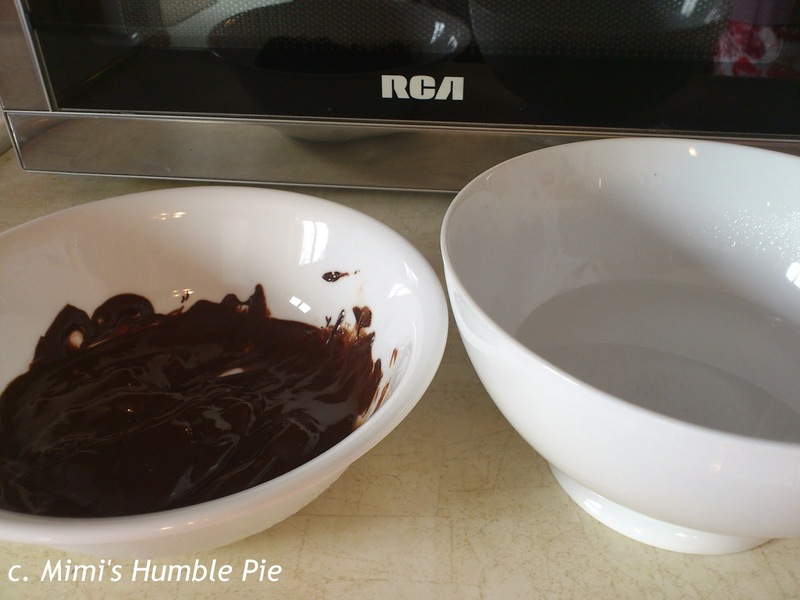 larger bowl to just touch the bottom of the chocolate bowl. Hot Stuff! Be very careful with the bowls, I used oven mitts to take it out of the microwave and lift the top bowl off the bottom.